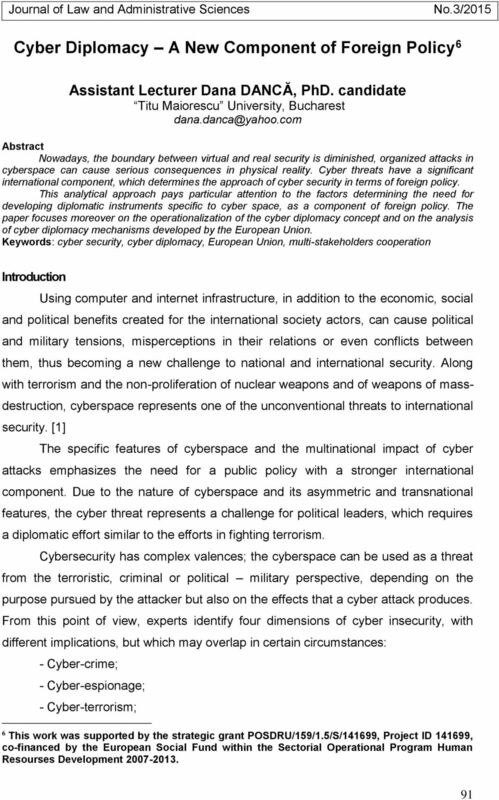 Download "Cyber Diplomacy A New Component of Foreign Policy 6"
The Cyber Security Challenge: What Can be Done? Eurocentrum Praha 4 th October 2007. A stronger Europe for a better world is the motto of the current Portuguese Presidency. Eurocentrum Praha 4 th October 2007 Portuguese Presidency of the European Union A stronger Europe for a better world A stronger Europe for a better world is the motto of the current Portuguese Presidency. 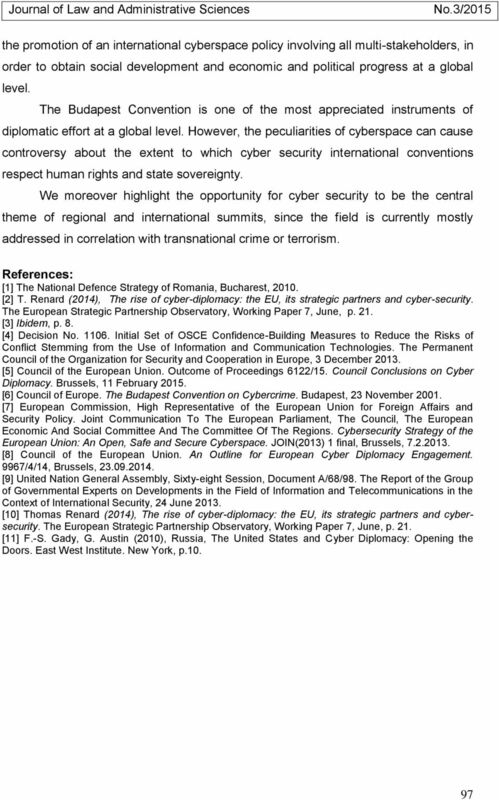 How Effective are International Approaches for Global Cyber Security? International Pugwash Workshop: Cyberwar & Cyberpeace How Effective are International Approaches for Global Cyber Security? 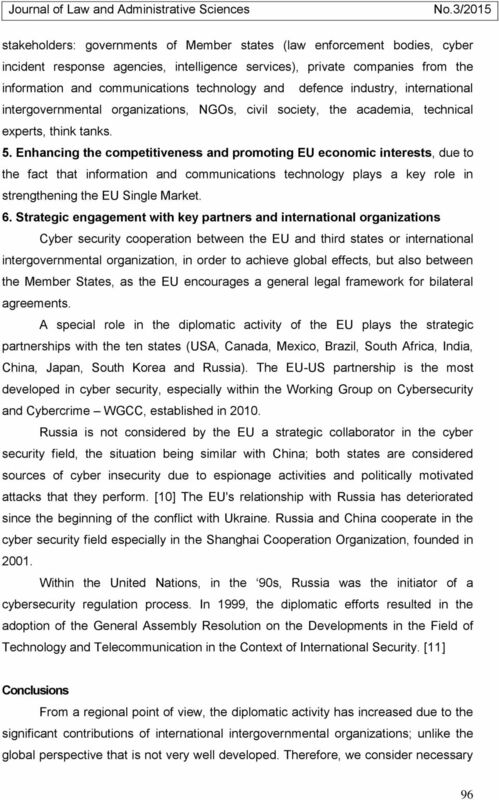 Berlin, 23 October 2015 1 Numerous states are pursuing military cyber-capabilities. ENABLING BETTER MULTINATIONAL AND INTERNATIONAL MILITARY COOPERATION FOR CYBER-RELATED MATTERS ACROSS ASIA AND EUROPE. Caitríona H.
CENTRE FOR STRATEGIC CYBERSPACE + SECURITY SCIENCE LEADERSHIP. RESEARCH. DEFENCE.